Food waste has reached epidemic proportions. Roughly one-third of the world's food produced for humans is lost or wasted. In Europe, consumers waste on average 95-115kg a year. And just look across the Atlantic to where Canada is the second-worst country in the world (after the USA) for food waste with a whopping 396kg of food going to waste per head. And yet a staggering 4 million Canadians go hungry every year…. On this scale, it just isn't sustainable and there is a global target to halve food waste by 2030. 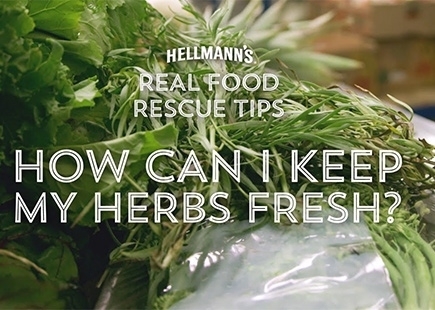 Step in Hellmann's Real Food Movement to bring this issue to life. 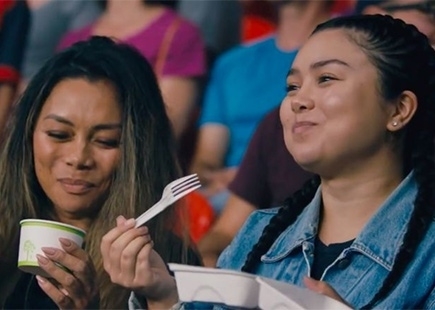 Hellmann's based its campaign around the calculation that the food wasted in Canada every minute is enough to feed an entire stadium. 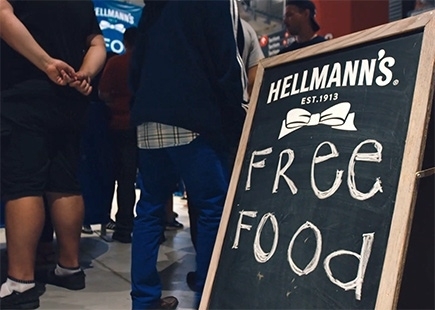 At the start of a local stadium event, Hellmann's Real Food event staff handed out free food to a crowd who were happy to be given a complimentary tasty meal. All caught on secret cameras, the footage we see then shows the crowd’s reaction to a half-time video that appears on the central screen outlining the food waste issues in Canada and that 4 million Canadians go hungry every year. The film then goes on to tell the story behind the free meals the crowd have just enjoyed, explaining how Hellmann's collected the food that would have been thrown out from local supermarkets and made it into the meals given out to everyone in the stadium. Cue gasps and smiles as the crowd realise the 'experiment' they have become part of. 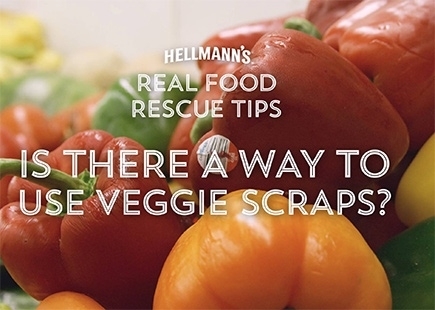 The film then wraps up by presenting the solution that Hellmann's Real Food Rescue programme in partnership with MLSE (Maple Leaf Sports and Entertainment – owner of most sports teams and stadiums in Canada) will collect the leftover (edible) food from stadium events and redistribute to those most in need. Overall pledging to donate 50,000 meals – giving 'more real food, to more real people'. The video neatly tells the narrative around this huge problem and then delivers a call to action to the brand's micro-site where consumers can get more information and ideas on how to make changes themselves too. This clever experiential 'surprise and delight' translates into content that delivers the message far wider than the captive audience at the stadium. The powerful message, the partnership with MLSE and quantifiable pledge to act on the Canadian food waste issue from both a waste standpoint, but also getting the food into the mouths of those that need it most, means this is an integrated campaign with real meaning, heart, and intention. The call to action to the brand's micro-site brings consumers into a branded environment, but with more useful content and ideas for how consumers themselves can make a difference at home and reduce their own food waste. Overall I love the execution – it's simple, it delivers emotive content with a serious message through a real-life activity. Hellmann's puts its money where its mouth is. The only build from my point would be more content on the micro-site and ensuring it stays fresh and up-to-date with the rollout of the campaign. This could be a real destination for consumers looking to make everyday changes and inspiration on how to effect change themselves to contribute positively to the global target. But it's early days as the campaign is inevitably still rolling out, so I look forward to seeing further updates on the actual success of this campaign.